Going back 40 years, Shimano introduced anglers to Bantam - its first low-profile baitcasting reel. It began Shimano’s connection to bass anglers. A new chapter for Bantam reels begins with the introduction of the Bantam 150 MGL, now being offered in six models - the Bantam MGL150, 151, 150HG, 151HG, 150XG and 151XG. The Bantam MGL reels also feature Shimano technologies including MicroModule gearing for smooth, positive gear engagement, HAGANE body to improve rigidity and protect the gears, X-Ship for perfect gear alignment even under the heaviest loads and SVS Infinity Brake System for easy cast control. 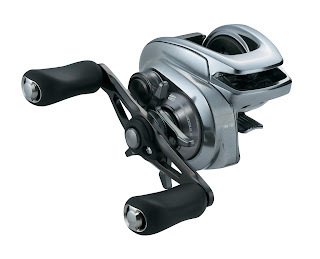 Each reel has seven A-RB ball bearings and a one-way roller bearing for no handle backplay. All six Bantam MGL reels will hold from 135 yards of 30-pound test PowerPro, to 110 yards of 12-pound monofilament or fluorocarbon. Retrieving 26-inches of line per crank, the Bantam MGL 150 and left-hand 151 have 6.2:1 gear ratios - the 150HG and 151HG take in 30-inches of line with their 7.1:1 gear ratios - and the 150XG and 151XG, with 8.1:1 gear ratios, pull in 34-inches of line per crank. “While our original Bantam reels launched Shimano’s entry into casting reels and the world of bass fishing, we see the new Bantam MGL poised to grow that legacy,” Epich said.